(TibetanReview.net, Jun12, 2016) – A Vienna meet Jun 10 to decide on India’s application for membership of the 48-nation Nuclear Suppliers Group (NSG) remained inconclusive due to strong opposition from China, with the result that the matter will now be deliberated upon by the atomic trading club at its plenary later this month in Seoul, according to several news reports Jun 10. New Zealand, Ireland, Turkey, South Africa and Austria were also reported to be opposed to India’s bid due to the fact that it had not signed the Nuclear Non-Proliferation Treaty (NPT). However, a number of countries which were initially opposed to India’s bid on this ground were reported to have eased their positions and were ready to work out a compromise. It was China which stuck to its position. The US was reported to have strongly pushed India’s case, with most member countries supporting it. However, it was China which opposed it arguing that the NSG should not relax specific criteria for new applicants. 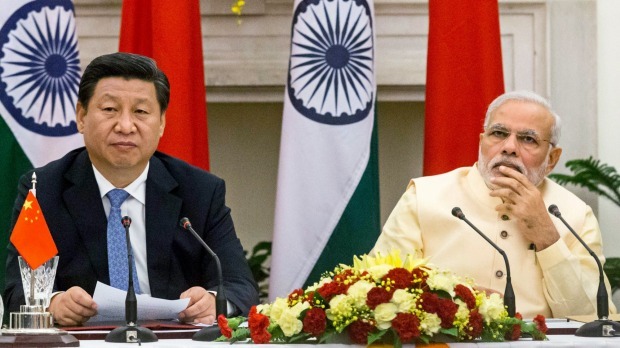 China did not openly oppose India’s membership directly but insisted on linking it to signing of NPT. The NSG works under the principle of unanimity and even one country’s vote against India will scuttle India’s bid, reported India’s PTI news agency Jun 10. The report cited people aware of the developments as saying the chair of the NSG had taken note of views expressed by member countries and will list the matter for further discussion at the NSG’s plenary scheduled to be held in Seoul on Jun 24. India is said to be still hopeful of getting support from China. It had supported India’s case in 2008 when the latter got a waiver from the NSG to allow US nuclear trade with India. India has asserted that being a signatory to the NPT was not essential for joining the NSG as there has been a precedent in this regard, citing the case of France. However, China has pointed out that France was a founding member of the group and therefore its case was different. The NSG looks after critical issues relating to nuclear sector and its members are allowed to trade in and export nuclear technology. Membership of the grouping will help India significantly expand its atomic energy sector. China’s opposition came despite the fact that ahead of the Vienna meeting, US Secretary of State John Kerry had written a letter to the NSG member countries which were not supportive of India’s bid, saying they should “agree not to block consensus on Indian admission”. The preliminary technical meeting of the NSG in Vienna discussed new applications from India, Pakistan and Namibia. The discussions recognised the merit in the Indian application but some countries raised the matter of process and criteria, reported timesofindia.indiatimes.com Jun 11.